HomeIs your compliance consultant licensed? If you need a license, shouldn’t they? Is your compliance consultant licensed? If you need a license, shouldn’t they? When a mortgage broker or mini-correspondent is making the important decision to retain a compliance firm one of the most important things they should consider is size. In this case, big is not always better and here’s why. We hear from around 50 mortgage brokers and mini-correspondents a week. 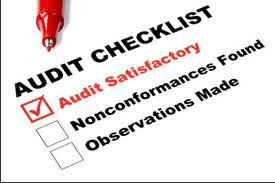 Many are already clients of our compliance audit prep and defense practice – calling with a question. The rest, well, they are fishing for the answer to how to best protect themselves as they realize how far out of compliance they actually are. Some are impressed with large national firms that run full page advertising in trade papers. As they swoon over the large ad they fail to notice that the company employees non-attorney staff that are not trained to reason their way through all these regulations and understand the true meaning of the regs. That’s not us; I am an attorney with special training regarding the CFPB, HUD, and the APA. Acting as your compliance advisor we will help you reason your way through regulations. Sometimes the mortgage broker or mini-correspondent fails to ask if the compliance consultant has ever actually been a mortgage broker. And most of them have not. Ask if the consultant has an NMLS license. WE do. I originate loans and hold several NMLS licenses. This means when we work with our mortgage brokers and mini-correspondents we understand the process and how to integrate regulations with reality. Integrating regulations with reality. Does that sound good to you? Further, would you like working with someone who is available quickly via email or phone to guide you at those critical decision moments? That’s us. ← Does the recent SCOTUS decision about overtime affect you?